Most of us may not realise the extent of our interaction with the ocean, or that the conservation of the marine environment is everyone’s business. From the seafood we eat, to almost everything we own and use that is imported into Hong Kong from all over the world via ocean routes, the beauty of our harbour (and the price we pay to see it from the windows of our homes) and beaches — seemingly innocent actions we take everyday can have implications for our impacts on ocean health. This is why spreading awareness for us to be more mindful in our every day lives is a fundamental step in marine conservation work. 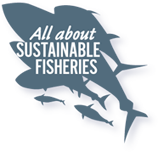 Whether as consumers, beach-goers, recreational fishers or seafood lovers, we have the power of making a choice that is kinder to our oceans. Project: Voice. Do you hear the ocean sing? Hong Kong is one of the greatest consumers and trading ports of shark fin in the world. While eating shark fins (usually as a soup in traditional Chinese banquets) has been a part of the local culture, awareness for the need to conserve sharks and curb consumption is growing. The Voice project was initiated to deliver this very message. Told through the words of Hongkongers, the video gives both a voice to those in Hong Kong who do see the urgency for protecting the survival of shark species and the health of the ocean, reflecting changing attitudes within the local community. In a performance by #Cuckoopella, a local a capella music group, a voice is also given to sharks and the ocean. The video is brought to audiences all over the world by BLOOM HK to show that even Hong Kong, one of the key consumers and traders of shark fin-related products, is ready for a change. Hong Kong houses spectacular marine biodiversity that is, sadly, little known to its citizens. Few pieces of research in the past have attempted to properly document the sort of marine life we have residing in our long coastline. The 114ºE Hong Kong Reef Fish Survey is designed to provide baseline information on Hong Kong’s reef fish diversity. More specifically, the number of species, their qualitative abundance, and geographic distribution is recorded. The project employs principles of citizenship science, inviting non-scientist recreational divers to help us with conducting these surveys underwater, and collecting the data that helps us demonstrate just how diverse our underwater ecology is. This information will be made publicly available on an online portal managed by the Ocean Park Conservation Foundation Hong Kong (OPCFHK) (coming soon), and used as a foundation of BLOOM HK’s seminars and educational campaigns about the local marine diversity. If you want to know more about this survey project, please see: Research. OPCFHK hosts an annual Conservation Day as a means for public outreach. BLOOM HK has been one of the supporting partners of the event between 2010 and 2012, organizing booths for visitors in one of Hong Kong’s most famous theme parks, Ocean Park, under the theme of shark conservation. The Eco-Education and Resources Centre organises an annual “Big Fish Amazing Race” underwater photography competition for local recreational divers. The competition also educates participants about some of the commonly encountered species in Hong Kong, as seen in the “Hong Kong Reef Fish Photo Guide“. BLOOM HK has been participating as one of the judges of the competition since 2014. In 2012, BLOOM HK was invited to participate in a chapter of a documentary named Fishy Business (please click to watch on RTHK Podcasts), produced by Radio Television Hong Kong (RTHK). In the episode, “In Search of Sharks”, BLOOM HK visits Mozambique, Africa with the RTHK video filming crew to visit one of the many roots of shark fins in the world. Interviews with local shark experts and fishermen uncover the truth about how the shark fin trade impacts local shark fisheries and wild shark stocks, and the fishermen’s struggles in making a living off one of the most controversial marine resource commodities.